The holidays are here, and no place celebrates like the Disney Parks. Join Aaron for a countdown of the Top Ten Christmas Offerings at Walt Disney World. 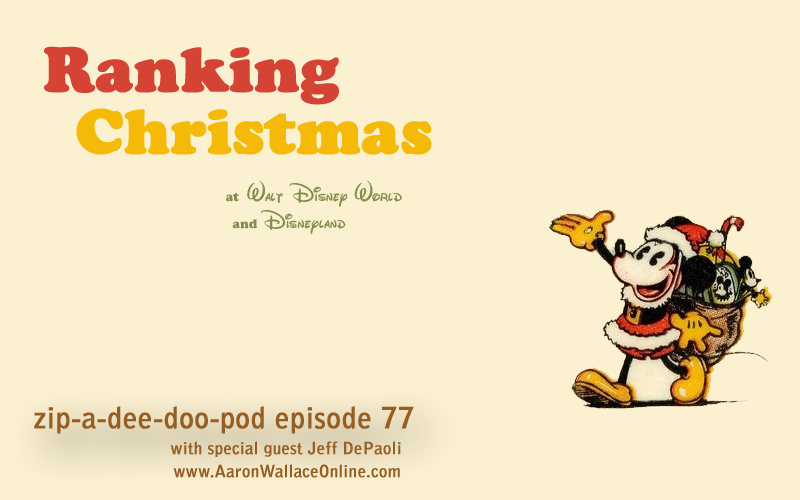 Then, special guest Jeff DePaoli chimes in with a rundown of the best holiday entertainment and attraction overlays at Disneyland. • Aaron’s new book, Hocus Pocus in Focus: The Thinking Fan’s Guide to Disney’s Halloween Classic, is now available as an eBook!